In a message posted on the PPM MPs’ Viber group yesterday, the former president said authorising the government to lease islands for resort development without a bidding process is contrary to the party’s founding principles. 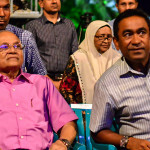 Former President Maumoon Abdul Gayoom, the leader of the Progressive Party of Maldives, has urged ruling party lawmakers to vote against government-sponsored amendments to the tourism law. The proposed changes would authorise the government to lease islands, lagoons, and plots of land for tourism without a competitive bidding process. In a message posted on the PPM MPs’ Viber group yesterday, Gayoom said the changes are contrary to the spirit of the party’s standing orders, which states that utilising the country’s natural resources equitably to ensure prosperity for the public is among the party’s main objectives. 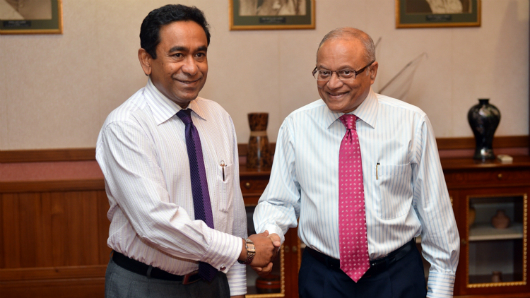 Gayoom’s appeal comes amidst renewed speculation of a rift between the PPM leader and President Abdulla Yameen. 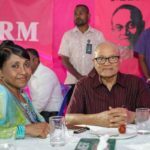 Gayoom has reportedly refused to grant his half-brother the party’s ticket for the 2018 presidential election in spite of a petition signed by a majority of the PPM’s council. He also publicly opposed controversial amendments brought to the constitution last year that authorised foreign freeholds in the Maldives. Former Home Minister Umar Naseer, who resigned from the cabinet last week, has backed Gayoom’s stand in a tweet today. Naseer had led a breakaway faction of Gayoom’s old party that formed the PPM in late 2011. Majority Leader Ahmed Nihan, who submitted the bill on behalf of the government, confirmed Gayoom’s opposition to the proposed changes. “President Maumoon does send us his views on bills from time to time,” he told The Maldives Independent. But Nihan defended the government’s amendments, noting that previous administrations had leased islands without bidding to joint venture companies and state-owned enterprises. 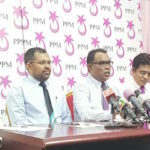 “We are just formalising and standardising the procedures,” the PPM parliamentary group leader said. During the debate on the amendments last week, opposition MPs had accused the government of planning to “legalise corruption,” noting that loopholes in the Tourism Act were exploited to steal millions of dollars from state coffers. According to a damning audit report released last February, some US$65.01 million collected as acquisition costs by the state-owned Maldives Marketing and Public Relations Corporation was embezzled under Yameen’s watch. 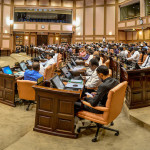 The main opposition Maldivian Democratic Party meanwhile warned in a statement yesterday that authorising the government to lease islands without bidding would cause “irreparable damage” to the Maldives. The changes would pave the way for rampant corruption in awarding islands for resort development, the MDP said. 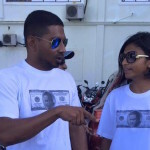 But Nihan insisted that the new rules would “minimise” graft as it requires the Anti-Corruption Commission to be informed after the tourism ministry signs a lease agreement. “The commission can advise the government if they notice anything inappropriate,” he said.